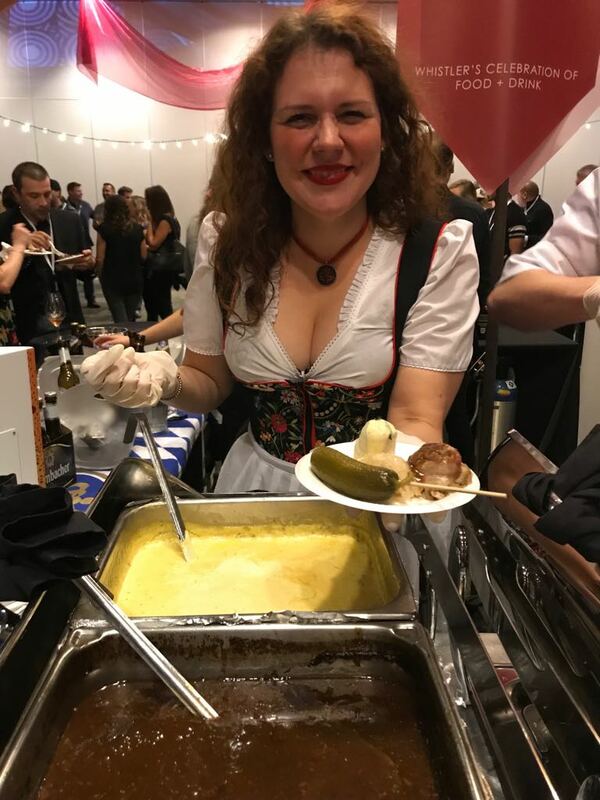 This weekend’s Whistler Cornucopia 2017 food & wine festival started off for me with a celebration of food and drinks from around the world at its Night Market: Taste of the World event. Restaurant stations, along with endless tables of wine, beer and spirits greeted us for this event. Guests received a wine glass along with a lanyard that acted as their food passport, showcasing the 12 restaurants to visit and sample their unique/signature dishes for the evening. Indeed we did! 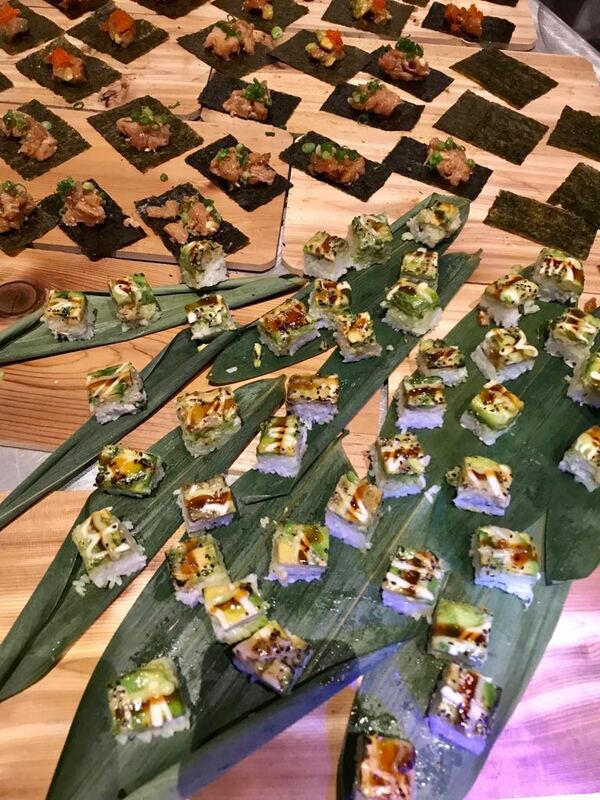 Eat as each station gave out ample amounts of food for sampling ranging from Whistler’s Japanese izakaya restaurant Harajuku‘s aburi sushi bites to Vancouver Alpen Club‘s German platter. 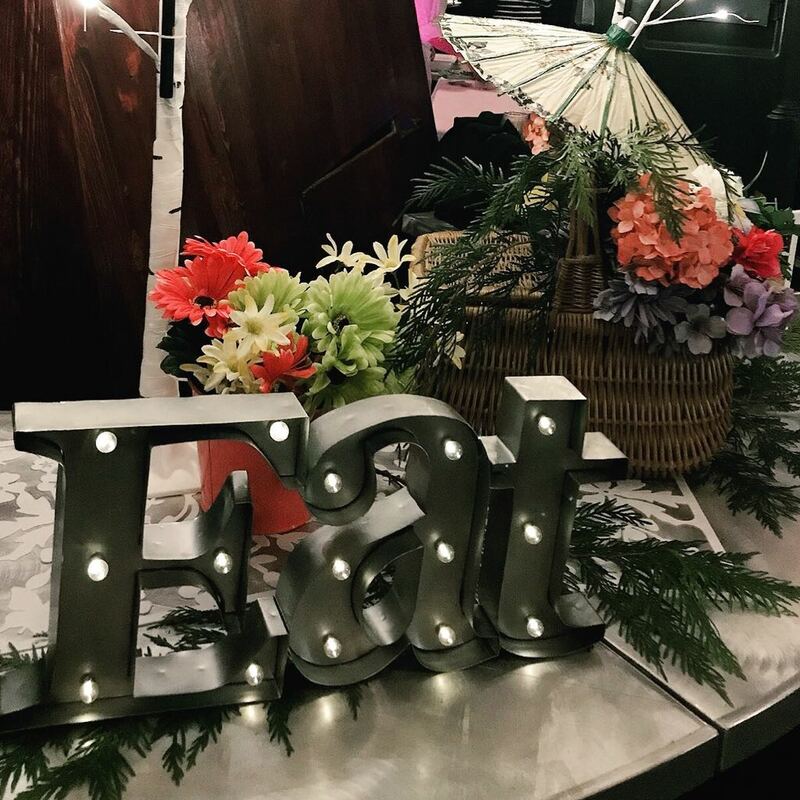 Drinks flowed all night long – each food station showcased at least two, sometimes three different drink vendors. My favourite drink of the evening reminded me of home, a cocktail created with spirits from Victoria-based de Vine Vineyards & Distillery. 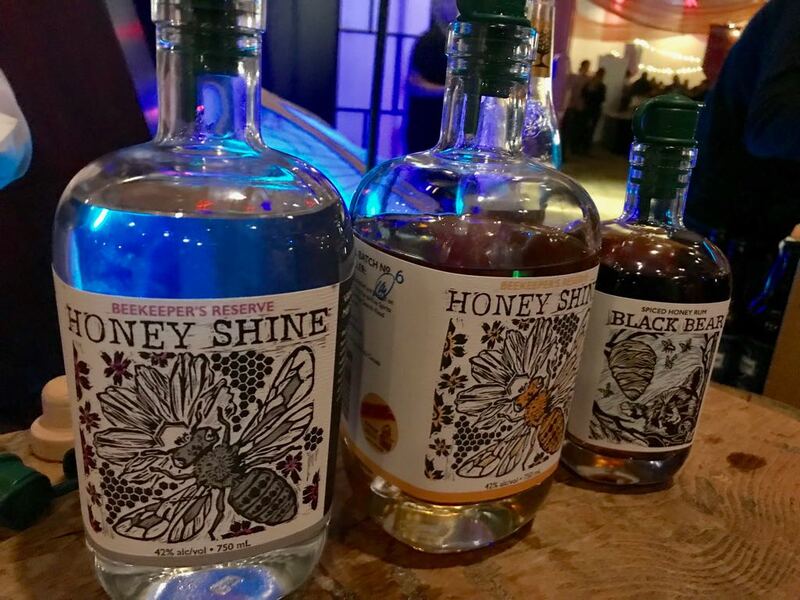 The de Vine Silver Lining cocktail is made of Honeyshine silver and Bianca Vermouth (both made by de Vine), mixed with Fever Tree tonic. The drink went down smooth as can be – and the spirit bottles are so pretty to display too! Of course the night wouldn’t be complete without dessert. 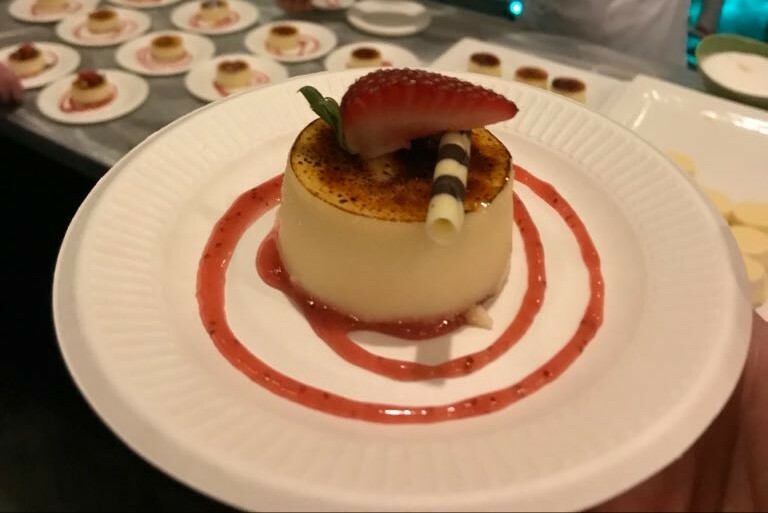 Thanks to the entertaining and comedic chefs of the evening from Centerplate guests enjoyed watching their dessert being prepared – creme brulee cheesecake – light, fluffy, and with the crisp burnt sugar layer on top. 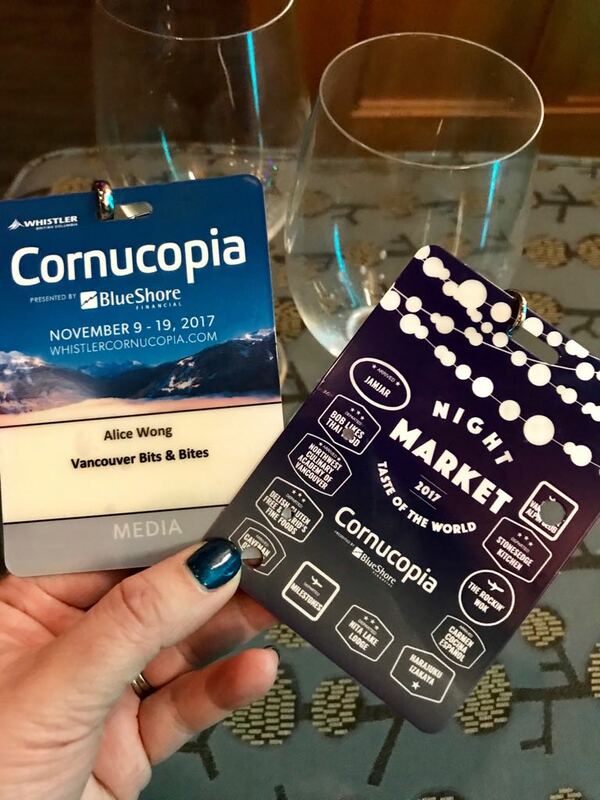 A great end to an amazing evening to start off our Whistler Cornucopia 2017 experience. For the latest information on ideas of things to do in Whistler, check out www.whistler.com.